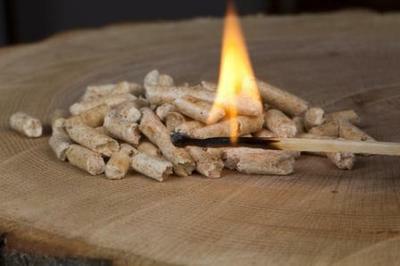 Instead of kindling and newspapers it is more effective to use wood pellets. Wood pellet provide lots of heat get the fire wood to catch fire quickly. Of course many modern stoves have some holes at the bottom for the ash to be collected in an ash tray and you wouldn't want the pellets fall down to the ash tray. That is when the so called kindling cradle comes to rescue. You just put it into your stove and fill it with any kind of wood pellets. For starting a small amount of fire gel works best. then you place the fire wood on top of the cradle. after lighting the gel it takes just a few minutes for the fire to burn in full swing. Thanks for this. It is a neat idea to use pellets to get your fire started, for many people it can be more convenient than splitting kindling down, and if you don't have really dry kindling available it would sure take the headache out of firelighting. Personally we use larger compressed logs - similar idea to small pellets, but they have a diameter of half an inch or so. You can buy string bags of them and they are easy to handle and don't need extra inserts in your stove. You can also stack them on top of your larger firewood, which we find usually gets things going faster than stacking the big wood on top. Join in and write your own page! It's easy to do. How? Simply click here to return to Wood Stove Tips and Tricks.